Resume in Word or in PDF Format - Which Format to Choose? These days a resume in Word format is one of the most popularly used formats. This format is easy to create thanks to the knowledge that people have about this program. Nevertheless, what most people don’t know is that having a CV in PDF format also has a lot of advantages. So, a resume in Word or PDF? We hope that through reading this article you will understand the importance of having a resume in PDF format. A resume in Word format will be twice the size of a CV in PDF format. That’s why, if you still wish to send your resume by email, or upload it to a website, it will be complicated if you have a curriculum vitae in Word. On the contrary, if you are using a curriculum vitae in PDF format it will be a much smaller file size and therefore easier to send. Whatever the case may be, your resume file should never exceed 1MB. So, think about optimizing the quality and size of your photo to reduce the overall size of your document. If your resume is destined to be sent to many recruiters that have a PC or Mac, it’s important that your CV is visible when opened independently. First, it’s important to know that Word has several different versions, such as: .doc (Word format 97/2003) and .docx (present Word format). Nevertheless, many people are still using the 97/2003 version of Word. For this reason we recommend that you save your resume in this format to avoid compatibility issues. On the other hand, it’s important to note that files in PDF format, don’t have any of these inconveniences. This means that a PDF resume will be readable in Mac or PC without any problem whatsoever. It will be compatible with all computer versions. Another advantage of a PDF resume is that it can’t be modified. On the contrary, files in Word format can be modified and saved again for another person. This may create some unwanted surprises. 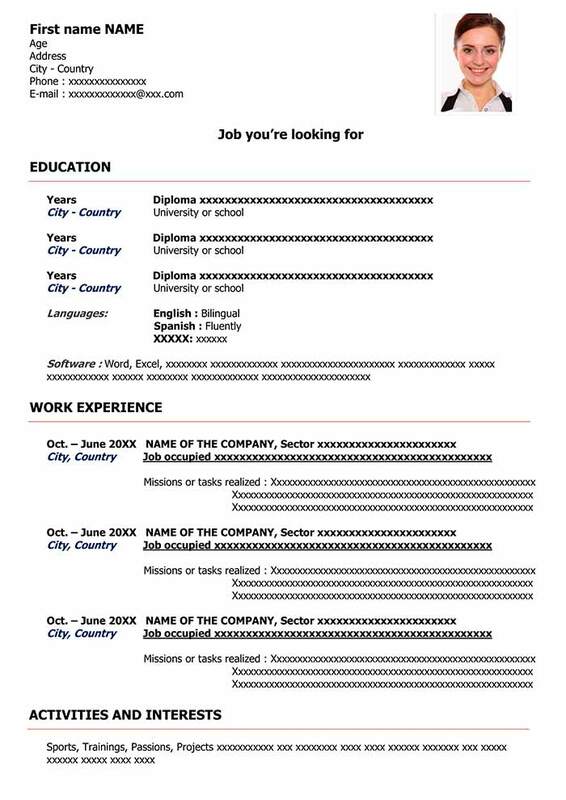 Even though PDF has its advantages, recruiters are still accustomed to receiving resume in Word. These formats are the most popularly used by recruiters. 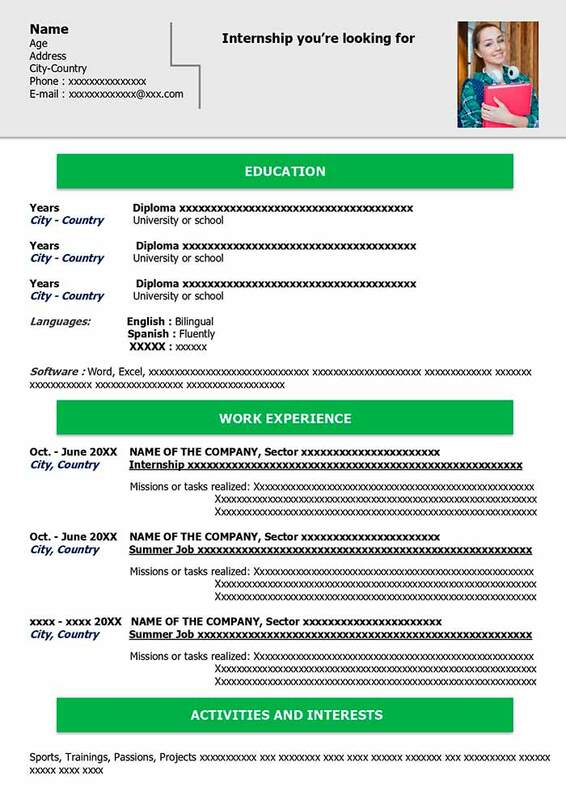 Some companies ask that you upload your resume directly to their website. In this case the majority of these companies will ask for a CV in Word format, instead of PDF. This is because the content of a Word document can be more easily read by their operating system. The opposite is true of a PDF document. In our opinion, the best format to make your resume in is PDF. However, many recruiters are still not ready for a PDF resume and will prefer a resume in Word. For this reason we recommend you save your CV in both formats. That way, you can send both versions of your resume to the recruiter via email and let them choose according to their preference. This will not only show your capability, but also your professionalism. One positive point! Remember, the new version of Word offers the option to save your curriculum vitae in different Word formats. Be sure to choose Word 97/2003 or PDF. By doing this you won’t have compatibility issues with your document. The PDF Creator software is a free program that will allow you to save your documents in Word, Excel, unmodifiable PDF or others. Thanks to this software your CV will be free from any modifications. 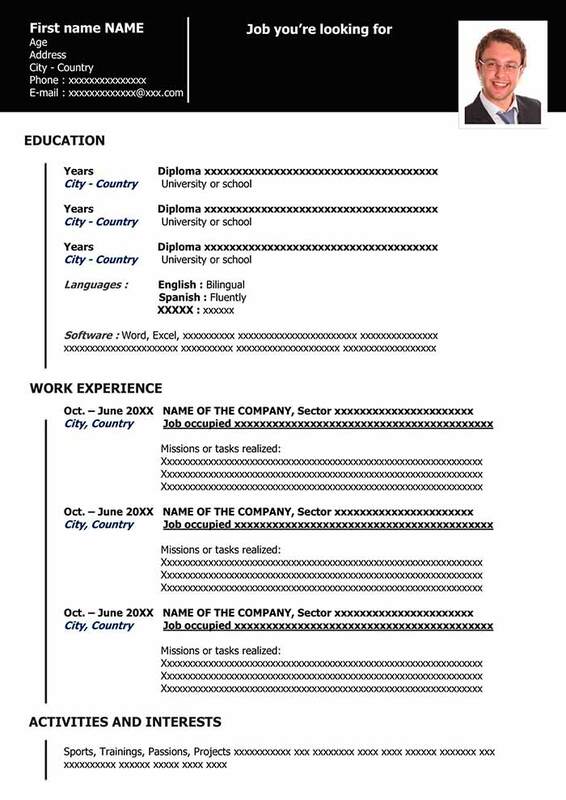 Use our downloadable CV Word templates!